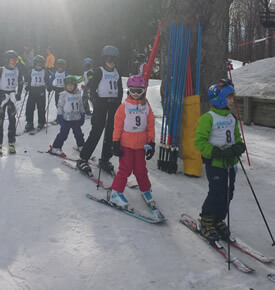 What do you do if you are a parent, love to ski, enjoy racing, taught your two kids to ski , and they want to race just like Mom and Dad? Ship them off to a race camp? NO! 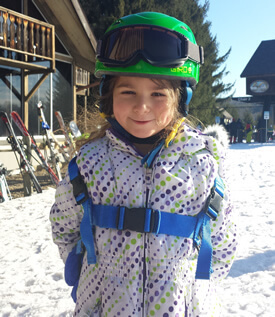 You start your own kids racing program so you can keep skiing together! And that’s exactly what happened. 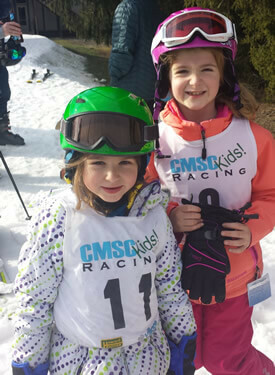 Initially begun by two racing parents for those very reasons, 2002 was the first year Kids Racing became a part of the Cleveland Metro Ski Council (CMSC). The goal is to give families the opportunity to share the excitement of racing, cheer each other on, and give them one more ski day together. Never-ever racers receive a medal for their first race. They are then placed in a race class with kids of the same ability. Trophies (for 1st, 2nd and 3rd places) and prizes are awarded at the base of the race cours immediately after the race – just like The Olympics!